Detroit band Death has reached legendary status through both their amazing story as portrayed in the highly-acclaimed documentary/film "A Band Called Death," and has cultivated enthusiastic audiences worldwide through their amazing live performances.This year marks the 10th anniversary since the world of rock 'n' roll discovered Death's legendary music and 1975 LP entitled For The Whole World To See, a work that rock historians credit as pre-dating the punk music movement by 5 years and which paved the way for Death to be inducted into the new Smithsonian African American History Museum in Washington DC. In honor of this special anniversary, Death will be doing a series of special performances throughout 2019. 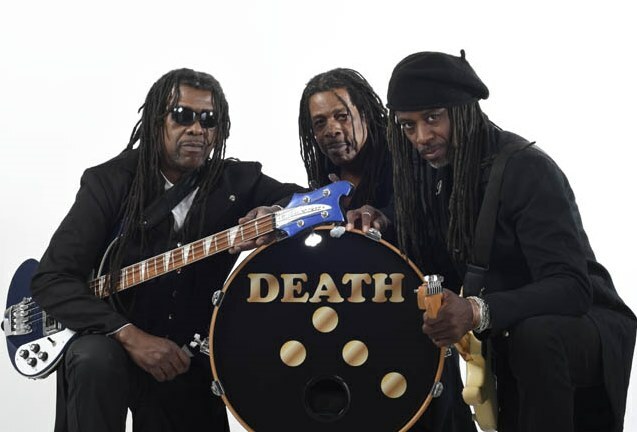 Death looks forward to returning to the road and is excited to share this celebration of music, legacy, and live Death performances "For The Whole World To See."